http://wiki.laptop.org/go/Deployment_Guide : The wiki version of deployment guide might contain additional information to start up deployments, and provide a place for you to share your lessons learned. http://en.flossmanuals.net/Sugar : The Sugar Manual on floss manuals, searchable as a website or downloadable as a PDF. 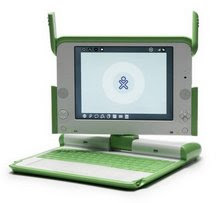 http://forum.laptop.org : Official OLPC community support forum. http://wiki.sugarlabs.org : The Sugar Labs Wiki, provider of the Sugar software environment and activities that run on the XO laptops.